Hamilton watches combine American spirit with Swiss precision to create timepiece collections that are truly iconic. 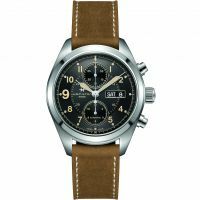 Founded in 1892, Hamilton's distinctive sense of style and cutting-edge technology has seen the brand immortalised on the silver screen, adopted by the aviation industry, and choesn by millions of men and women for generations. Leading where others follow, Hamilton's diverse designs all share one common theme – originality. Futuristic, space-age models that are fit for a sci-fi movie sit side-by-side with handsome skeleton watches that are worthy of the red carpet. 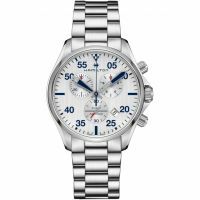 Each piece combines timeless design and Swiss Made accuracy to ensure you look the part, so whichever Hamilton watch you choose, you can be sure it will be a design for life. 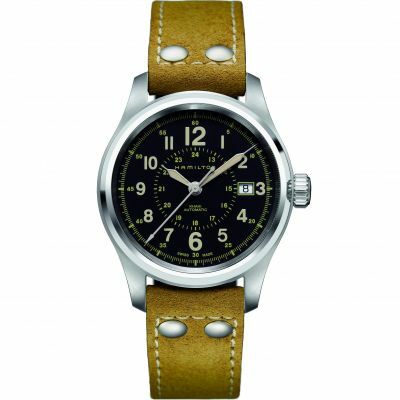 Designed for adventure, the Hamilton Khaki collection is the ultimate choice for thrill-seekers. 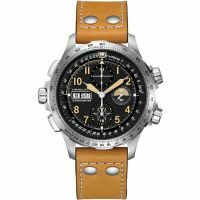 Khaki Navy models come equipped with everything you need to explore the deepest ocean depths, whilst Khaki Aviation watches allow you to head skywards with confidence. 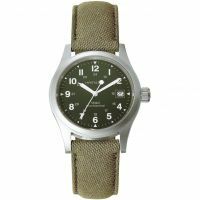 Khaki Field features a more rugged design, fit for unpredictable terrains and inspired by Hamilton's military watches from the 1940s. 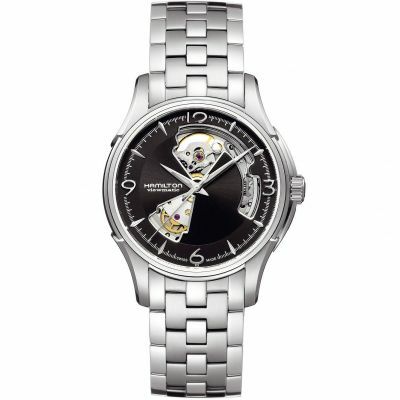 Timeless style and effortless finesse blend seamlessly with Hamilton's Jazzmaster collection. 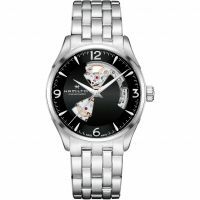 Explore the range of elegant skeleton watches with intricate designs and classic leather straps, sturdy stainless-steel chronographs, and beautiful two-tone pieces. Cool, understated, and stylish, the Intra-Matic collection offers a modern take on vintage design. Featuring both stainless-steel and leather straps, the Intra-Matic range has the kind of minimalist style that looks just as good in a cocktail bar as it does in the boardroom. Hamilton's rich heritage is ingrained in the world of aviation, the navy, and pop culture across the globe. With enough historic moments to fill a book, we've highlighted some of the brand's most notable milestones. The Hamilton Watch Company is born in Lancaster, Pennsylvania. Hamilton is adopted as the go-to timekeeper for American Railroads. Until then, the company had operated based on over 50 different times, which had led to many accidents. 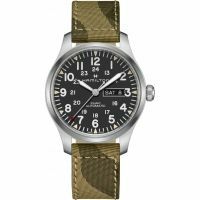 Hamilton becomes the official watchmaker for the US Armed Forces. 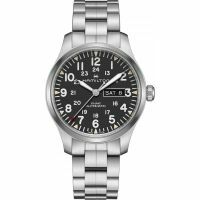 Hamilton's aeronautical watch accompanies America's first airmail postal service, flying between Washington and New York. Hamilton begins its long and illustrious relationship with cinema, appearing in the Oscar-nominated movie The Frogmen. Hamilton releases the VENTURA, the world's first electric watch, which goes on to be worn by Elvis Presley in his 1961 movie Blue Hawaii. Director Stanley Kubrick approaches Hamilton to produce customised watches for his future sci-fi classic, 2001: A Space Odyssey. It's back to the box office as Hamilton produce a unique watch to be worn in hit movie Interstellar. 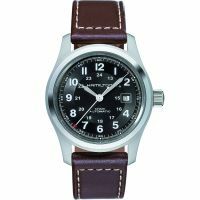 A Hamilton watch is not only a stylish accessory with Swiss Made accuracy, but it provides you with a slice of pure Americana. 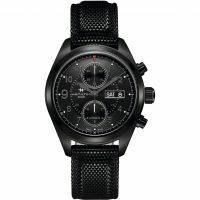 A pioneering brand with many firsts, including the world's first electric and LED watches, Hamilton has been adopted by military and aviation circles, as well as Hollywood and the wider fashion world. 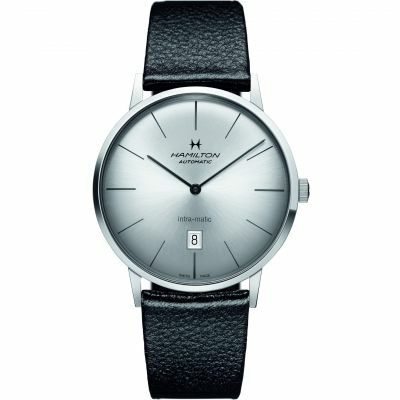 Elegant and classic, yet simultaneously cool and cutting edge, few can resist the unforgettable charm of Hamilton. Worn by everyone from Elvis Presley and Michelle Pfeiffer to Idris Elba and Matthew McConaughey, Hamilton watches have appeared in over 450 movies and on countless red carpets. 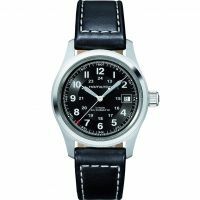 You can a join the ranks of A-listers and astronauts and embrace new frontiers with a Hamilton watch.